Used this pattern to start found some parts difficult to follow so did my own thing. Added a pompon and ribbon to beret. 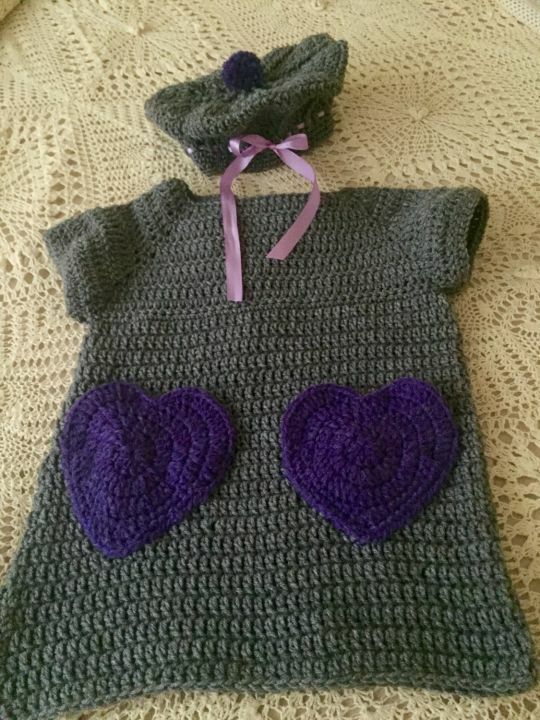 Used heart pocket from another pattern.